Argh Matey! 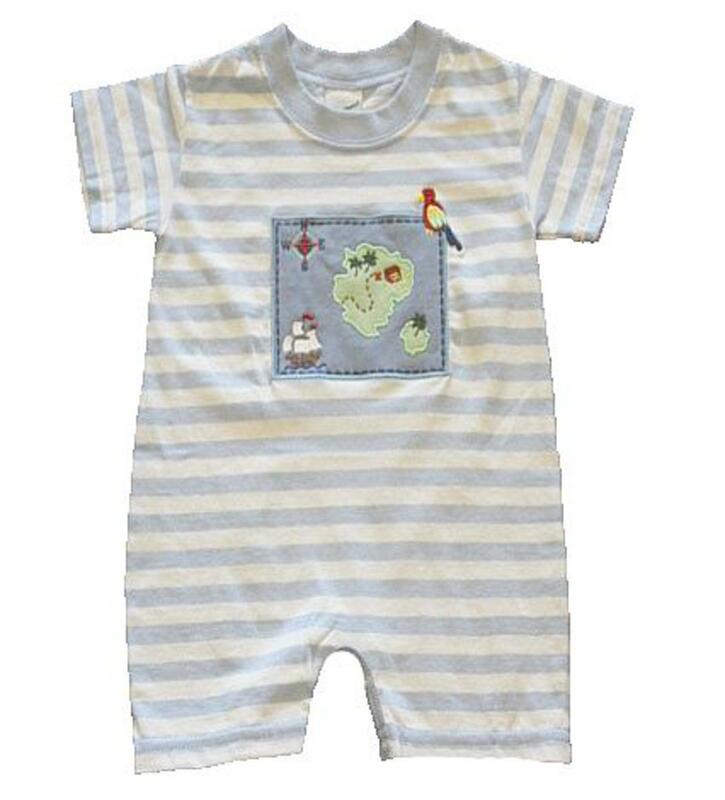 The light blue and white stripe short sleeve romper has a treasure map applique on the chest that is multi color. There is a stretchy neckline to get on/off easily and snaps on the inside of the legs to accomodate diaper changes. 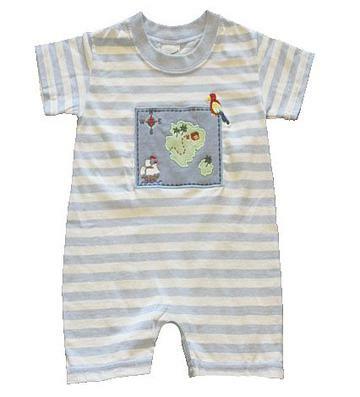 This adorable and soft outfit is 100% cotton.